This constant shoveling and cleaning of doorways leads toward being successful in hunting animals. There is a saying that when shoveling, the snow does not land just anywhere but down in the world of those [animals] who are alive, on their window. Young men used wooden shovels all winter long to clear snow from the doorways of houses in their villages. This duty was part of becoming a good hunter because it meant that a pathway was cleared for the seals so they would come to the people. 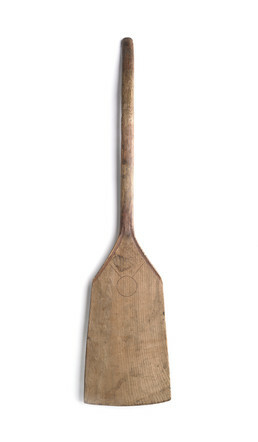 The shovel and kayak were considered to be a young man’s most important tools.